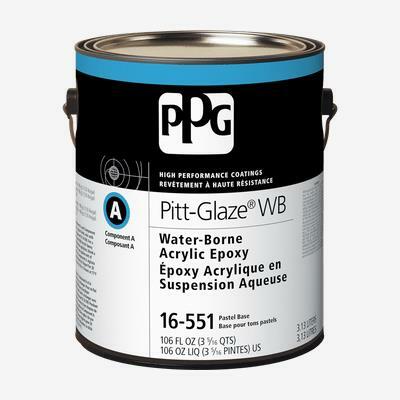 PITT-GLAZE® WB Interior Water-Borne Acrylic Epoxy is a two-component epoxy coating for interior use in commercial, institutional, and light industrial environments. It is ideal for use in bathrooms, kitchens, hallways, and other commercial areas subject to frequent cleaning. With minimal odor, PITT-GLAZE® WB is perfect for hospitals, schools, cafeterias, and food processing plants, or any area that cannot be taken out of service for an extended period of time.